Or is it 2013? I never know which year to label it when I am talking about the new year. 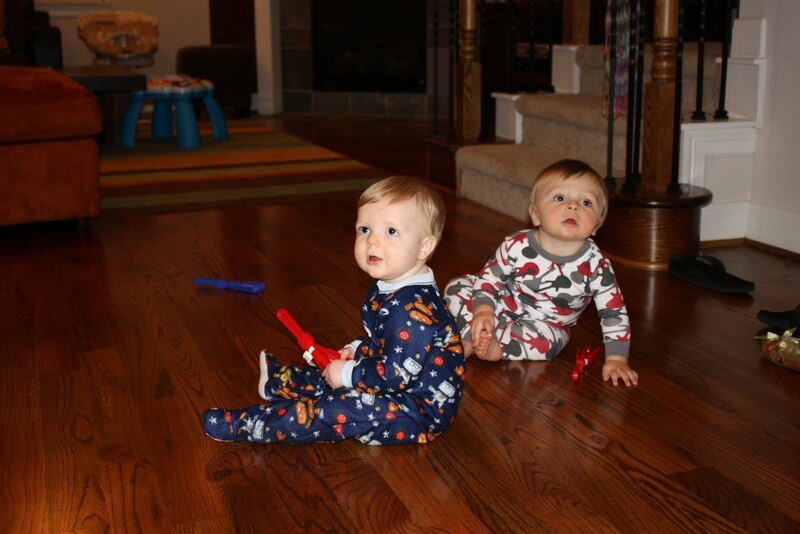 So whatever year it was 2012/2013 this was the first one we have spent with out kids. Last year we made a list of all the years we could remember. We could not remember 2006, 2007 or 2010. It is the 2010 that bugs me…. 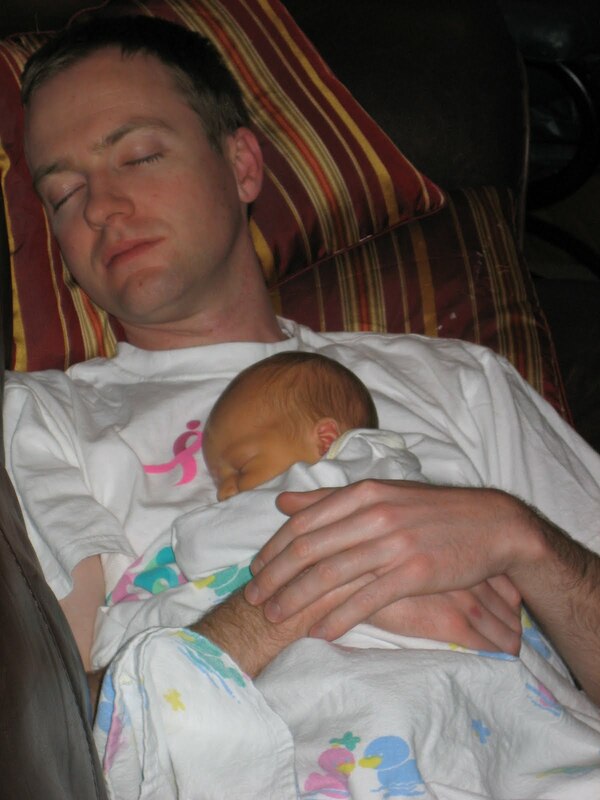 2008 was easy, we had arrived home 6 days earlier with baby Zachary. 2009 we spent with Jen, Scott and Tyler. Well, we spent until 8pm on New Year’s with them. 2010? Anyone? Anyone? I would have been pregnant with James, we spent Christmas here in Houston and that is where the memory ends…I am guessing the answer is nothing. We did nothing but go to sleep, since I would have been feeling like crap? Maybe? 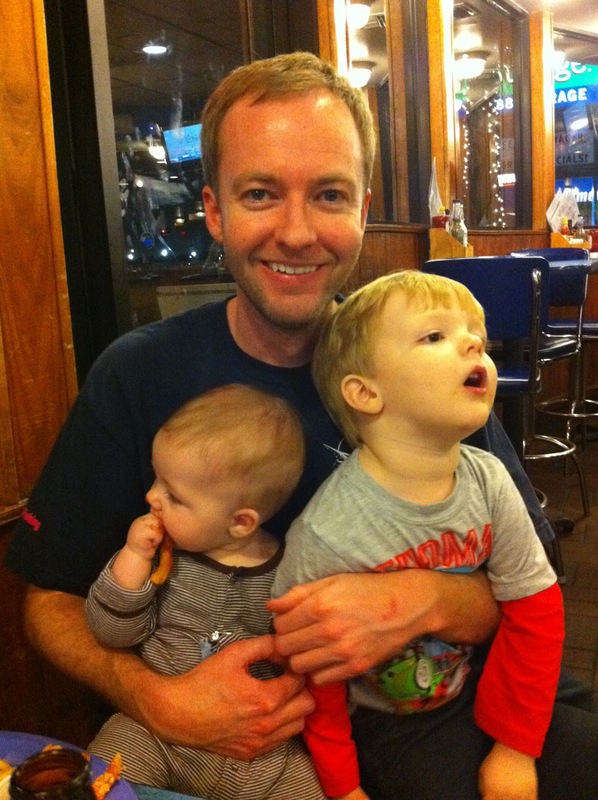 2011 was the most fun so far (post-kids that is, let’s not kid ourselves). We went to dinner at the Captain’s and were home well before midnight. But it was casual, James was even in his pajamas. We were one of the few people in there and everyone was so sweet to the boys. 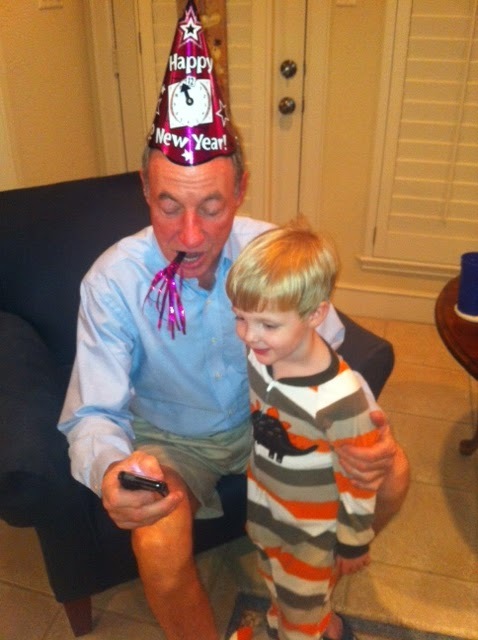 Don’t worry, James and I rang in the New Year at midnight when he was up to eat. We had a mini-celebration that consisted of me trying to fall asleep while nursing him. PS Do you see that fat baby with the french fry? We didn’t. Not until I looked back at the photo. 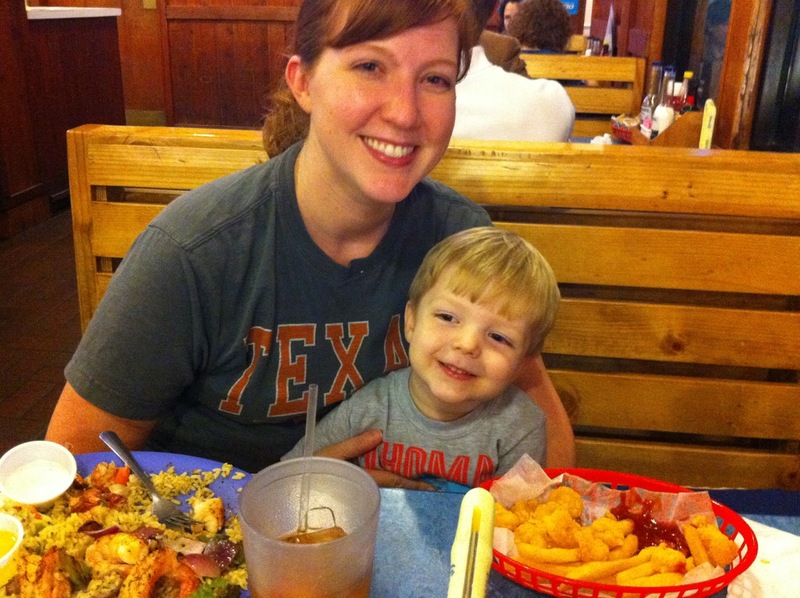 2012 Alex and I went to dinner at 10pm at a restaurant near the Galleria which was delicious. I told him I would obviously have to pre-eat as my dinner time is 5:30 normally. 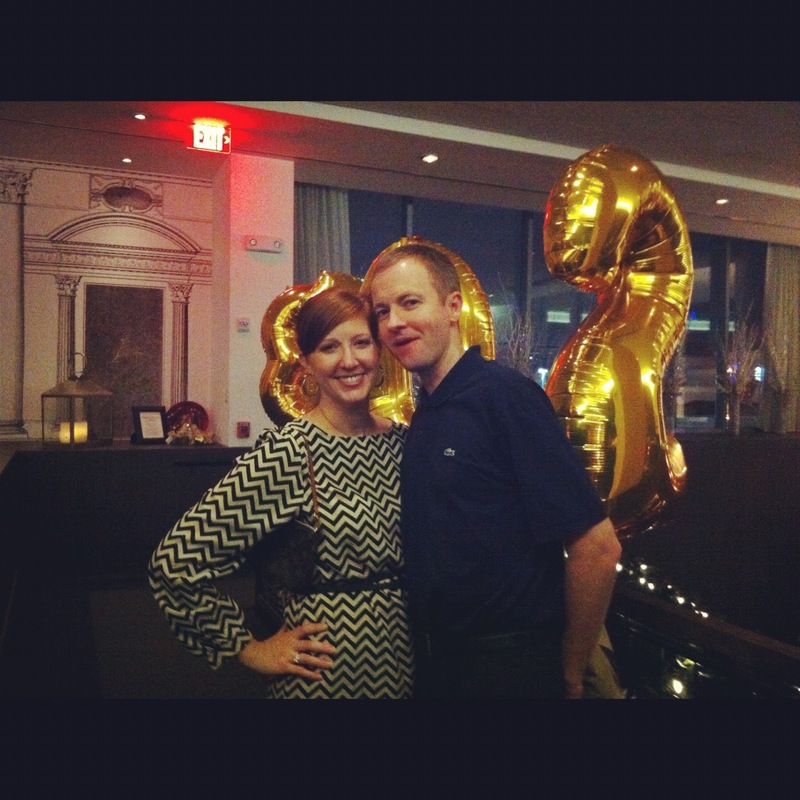 Here I am pretending I don’t want to steal one of those balloons for my children and to also go to sleep. The boys spent the night with the Walls, eating dinner at Fuddruckers and counting down to midnight in Greenland (which is 9pm CST). 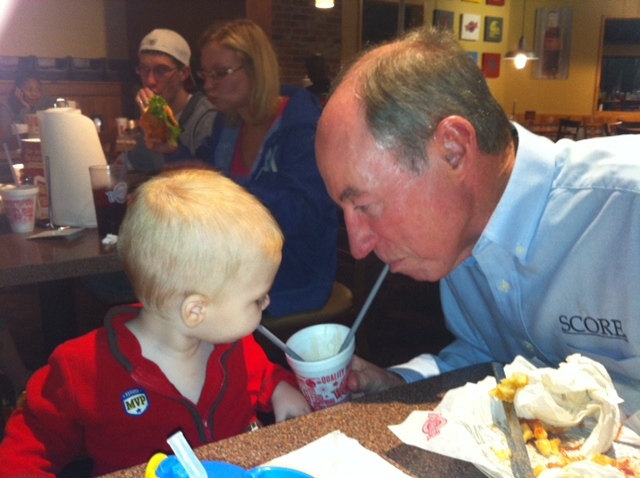 Only Vince could get away with sharing a shake with James. As previously mentioned, he does NOT like to share. The best was New Year’s day when we got to sleep in. That was the perfect way to ring in the New Year, a bit more peppy thanks to a few more hours of sleep. Don’t tell the 25 year olds. They won’t get it.